Jackie Chan has taken on the role of ambassador for the children’s charity Camp Quality, and in September helped raise nearly $23,000 for them at the Hong Kong premiere of Rob-B-Hood. Nearly the entire cast of the film attended the event, and Jackie brought attention and funds to the charity by auctioning off a limited edition IWC Dragon watch. Camp Quality is an international organization which offers support for children suffering from cancer by making it possible for them to get out of hospitals and enjoy themselves in an outdoor environment. 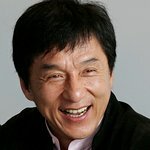 In the same month, Chan started the Jackie Chan Civil Aviation Foundation, a charity which provides program funding for flight personnel and their trainers.